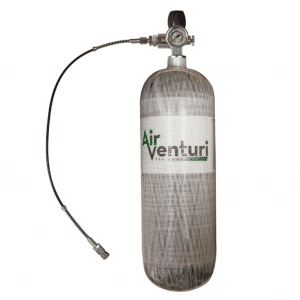 Protect your Air Venturi 4500 psi Compressor from potentially harmful moisture with the Air Venturi Dry Air Intake Filter by Hill. 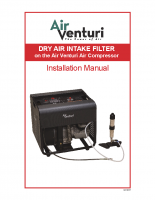 The Dry Air Intake filter removes moisture from the air as it enters your compressor. 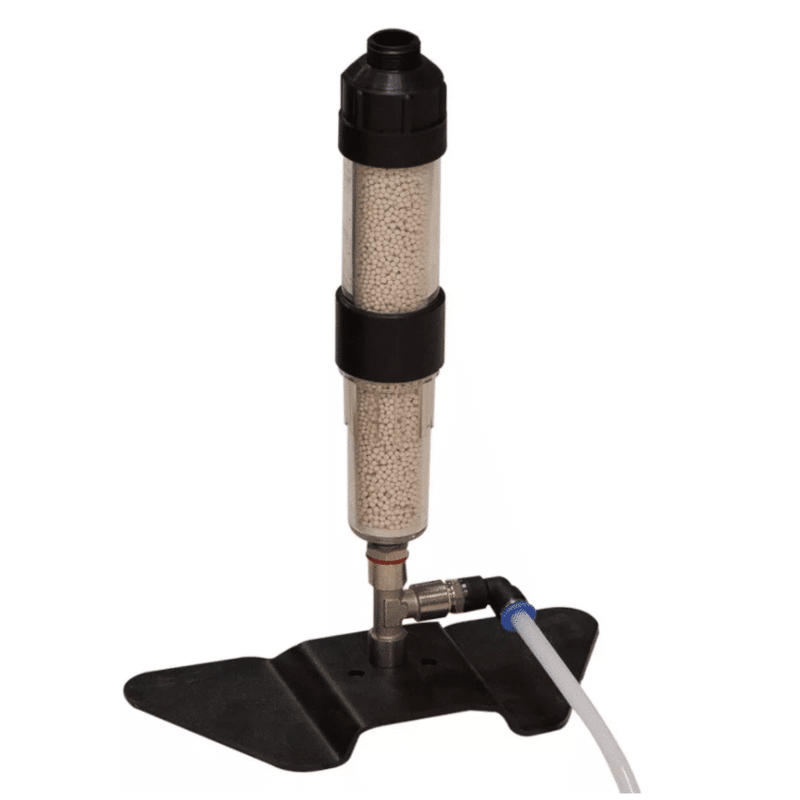 This significantly reduces the chance of moisture entering your tanks or PCP cylinders when you fill them. 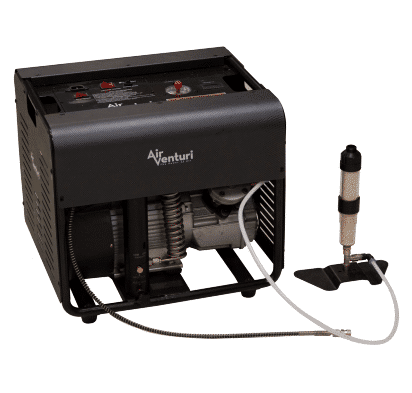 Easily installs onto the Air Venturi 4500 psi compressor in just minutes. 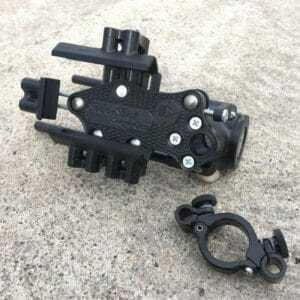 Includes a stand, hose, and enough Hill Dry Pac media to fill the filter. Do NOT set your Filter on top of the compressor while running. The vibration could cause the filter media to break and turn into dust which can clog the filter and damage your compressor.